Annual printed Membership Directory. Many different size ads available (see rate sheet below for sizes and costs). 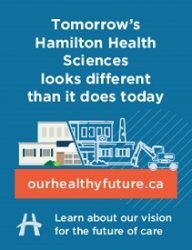 Include your ad in this year long shelf life directory which is sent out to 3000 members and business leaders and resource centres in Hamilton. You can also get a 10% discount on a Featured Listing with your directory ad. Flyer inserts into any Chamber Mailing (4X per year) – Spots fill up fast…book for the full year to save! 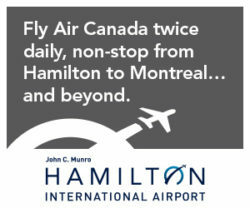 This is an enhanced promotion of your business on the Hamilton Chamber website. Your logo will be placed on the front page of the website on a rotating basis with other featured listings. It makes your listing Stand Out! Add photos, video and extra details about your business! Featured listings are first to appear in your search category. 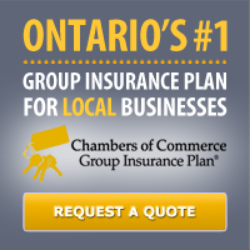 A link is included with the banner ad and is sent to 3500 Chamber members and associates by email in the Pipeline Newsletter sent weekly down the left side. Discounts are available on the purchase of a banner ad for six month and annually. Choose the Pipeline issue date(s) you wish the ad to be sent with a high resolution ad (size 230x130 pixels or 468x60 pixels). All materials are subject to approval by Chamber before sending out. When the banner is not in use at an event, it will be prominently displayed in the Chamber’s reception area on view to all our visitors. Our Corporate Partner Logo banner is displayed throughout the year at our 35-40 signature events. These include events such as the Outstanding Business Achievement Awards, 12 Business after Business networking events, Citizen of the Year dinners for Hamilton, Dundas and Ancaster, Ambitious City, the Mayor’s Breakfast, Annual General Meeting, and the Summit to name a few. We also add events throughout the year addressing current issues or topics as they arise in the city. The average attendance of events ranges from 50 people – 500 people.